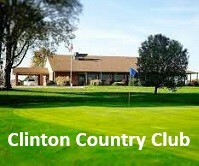 Comfortable and relaxing, Clinton Country Club can be the perfect respite for travelers to or from the lake. The small, semi-private club is located just outside of Clinton off 7 Highway as you head towards Truman Lake and Lake of the Ozarks. The club is approximately two miles east of town, then north about a mile along NE 201st Road. As the town of Clinton grew to its current size of about 9,000, it swallowed up the existing nine-hole course and the Country Club moved east of town, starting construction in 1992 and opening the current course the next year. 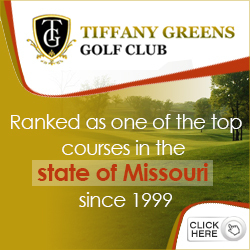 The club is about a half hour from Truman Lake, an hour from Lake of the Ozarks, and about two hours from Branson. Being centrally located makes it easily accessible from almost anywhere in the region. Some folks even make a longer journey to Clinton. The club is managed to make it easy for travelers to use. 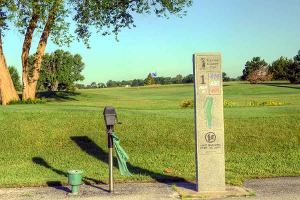 Golfers travelling to the Lake on Friday or Saturday will usually find the course completely available, as will golfers returning on a Monday holiday weekend. Travelers are also welcome to play in the tournaments. The course itself is designed for tranquil enjoyment. The par 72 course plays 6,507 yards from the championship tees, with a course rating of 69.2 and a slope rating of 109. The white tees are 5,929 and it’s just over 5,000 yards for the forward tees. “I’ve always found it’s a very affordable, fun place to play golf,” Browning said. The challenges with Clinton’s course are somewhat hidden. 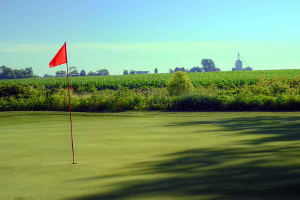 Both long-time members have their own favorite parts of the course. There are interesting challenges in several areas. Browning sees it as ideal for most golfers. And it is extremely accessible. 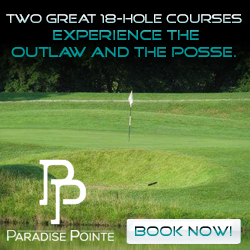 It’s also very affordable with greens fees at $28 any day of the week for 18 holes with a cart. Memberships are available as well and pricing is very reasonable and varies depending on the nature of the membership. The club features men’s, women’s, mixed and senior leagues during the week, and has quality clubhouses amenities. 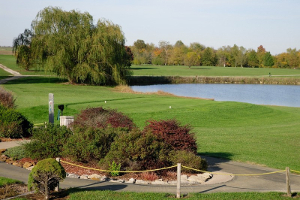 Whether you’re planning to stay all day to play, or just drop in on your way to or from the lake, Clinton Country Club can be an idyllic experience. 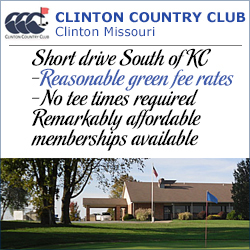 Browning encourages prospective guests to visit the club’s website (www.clinton-country-club.com) or Facebook page (facebook.com/clintoncountryclub/) for up-to-date information about Club events and course availability, or call the clubhouse direct: 660-885-2521. 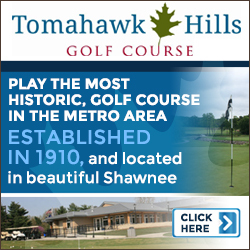 This entry was posted in Featured Articles, Featured Courses by KC Golfer Magazine Publisher. Bookmark the permalink.